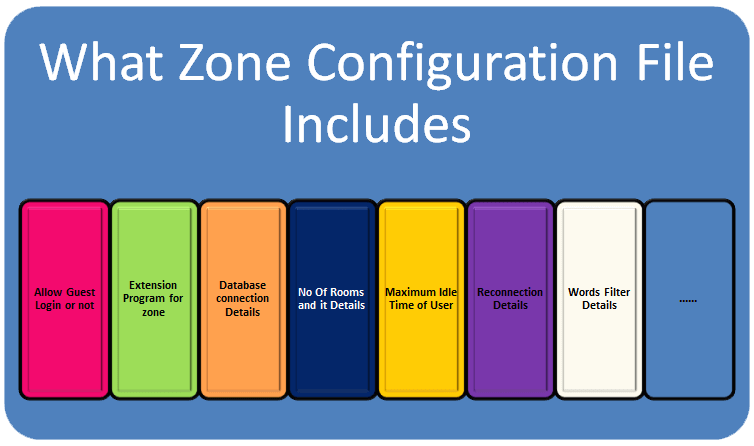 Zone:- Zone is a collection of rooms, in the earlier session we discussed what is a room in smartfoxserver2x, if we collect/categorize different rooms under one roof/section that part can be considered as zone. Does the zone allows guest user login or not. We can’t create the zones at runtime, where as we can create the rooms at runtime of SmartfoxServer2x. There is no programmatic/dynamic way for creating zone. Next Zone Creating/Configuration using xml file explanation in step by step manner.